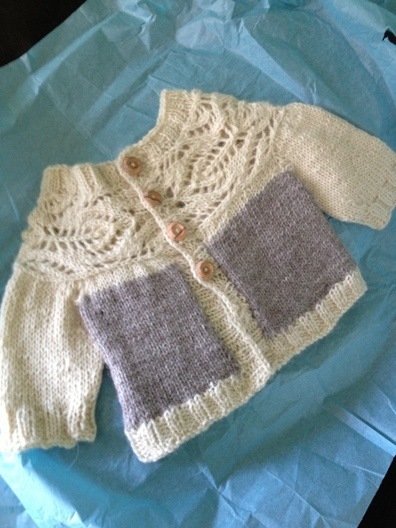 Have I told you, I reeaalllllly love the designs from Tin Can Knits! I am sure might have mentioned it before, once or twice! The Transatlantic duo have recently published Handmade in the UK, featuring 11 lacy designs by Emily Wessel. I eagerly anticipated the e-book, but when the actual book dropped through the door last week I was thrilled and it’s has been pored over within an inch of its life. If it’s TCK you know it’s going to be beautiful, stylish patterns, designed with a finger on the pulse of what knitters want to make AND wear! Add to that a collection designed entirely in British wool or by UK dyers and I feel like throwing a parade! Inspired by her new home in Scotland and the great standard of local dyers and yarn producers – from Jamieson & Smith, Orkney Angora and Shilasdair, to Uncommon Thread, Juno Fibre Arts, Skein Queen and Old Maiden Aunt – Emily has selected yarns which perfectly accompany and show off her lace designs. I have already knit two projects from the book and have two WIPs, too. 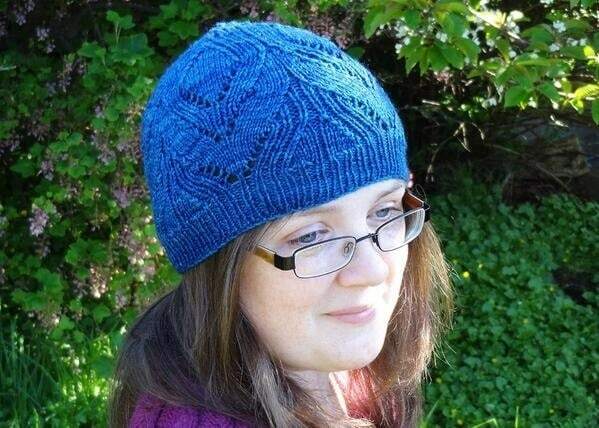 I adored knitting the Loch Hat – it was really exciting to watch the pattern emerging. I hadn’t really used lace in a hat like this before and I am so pleased with the result. I decided to squirrel it away for a gift, but it was difficult not to keep it! The wool I used was merino sport dyed by Helen of Ripples Crafts and I really believe this was a case of the yarn matching the pattern perfectly. I will need to head back over to the website to get more for the matching mitts! I have Estuary cast on at the moment and I am using yarn from the suggested yarn-dyer extraordinaire, Old Maiden Aunt! This is a 4ply UK bred Corriedale in the colourway Last Night’s Red Dress! I will post project pics when blocked, but I think this is my favourite pattern from the book so far. Mostly because it challenges me a bit. I am not the greatest chart reader, but (like ALL these patterns) the pattern is set out beautifully in a really easy to understand way and I almost feel like each chart is a little lesson and then an achievement! Again, watching the waves and ripples form is a joy to behold! Another WIP (though a longer term one, I think) are Vivid blanket squares. The version in the book is in fantastic rainbow colours from Jamieson & Smith and I have seen some lovely versions on Ravelry, particularly the version made by Alexa – Emily’s partner in design. My British wool in this project has a nice story. My Besty told her aunt about my KnitBritish project and she sent me a massive bag of coloured mohair, spun at Blacker. She bought it on holiday – as she cannot resist a ball of yarn! – but had not knit with it yet and so must have thought my need was greater! Thanks so much to Aunty Joyce! I like the fuzzy, halo effect of the mohair! It might lack the amazing stitch definition of the Shetland, but it definitely has character! With this pattern I mastered a new cast on, again learning something new with Tin Can Knits! It is patently clear that Tin Can Knits love design, but they also really seem to care about what we wanna knit and how. 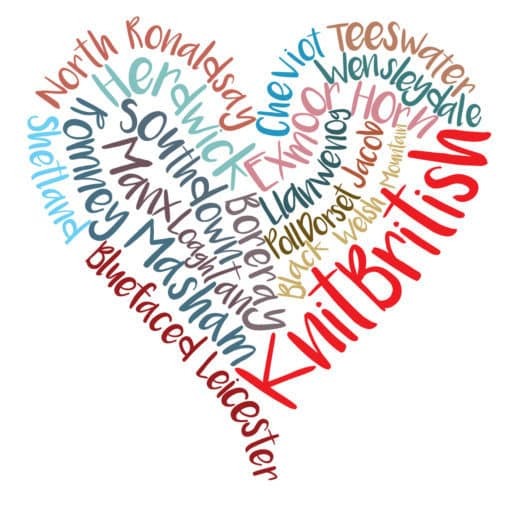 From newbies to the most intricate knitters, they really do offer something for everyone and HMUK is no different. Whether you are an old hand at lace or you want to get to grips and gain confidence with your lace knitting, you will find these patterns a joy to knit. And don’t forget the gems of yarns too. I know it is often tempting to knit patterns in a yarn of your own choice, rather than the ones suggested, but there are so many beautiful UK yarns featured in the book – and lots of great natural and dyed home grown wool besides – you’ve no excuse not to knit British! If like me you cannot wait to knit the entire book then you should head right on over to their website (it will be the best use of $16 CAD ever!) and treat yourself ooorrrrrrrr you could win yourself one right here! Emily has kindly offered an e-copy of the book to one of you lucky lovelies! I will close the competition on Monday, 29th July and announce the winner soon after. Feel free to tweet and facebook, spread it around! Only comments left here will be entered into the giveaway. Hurray! TinCan Knits is awesome. I thank both of you for the giveaway. My favorite pattern from the book is the Lush cardigan. 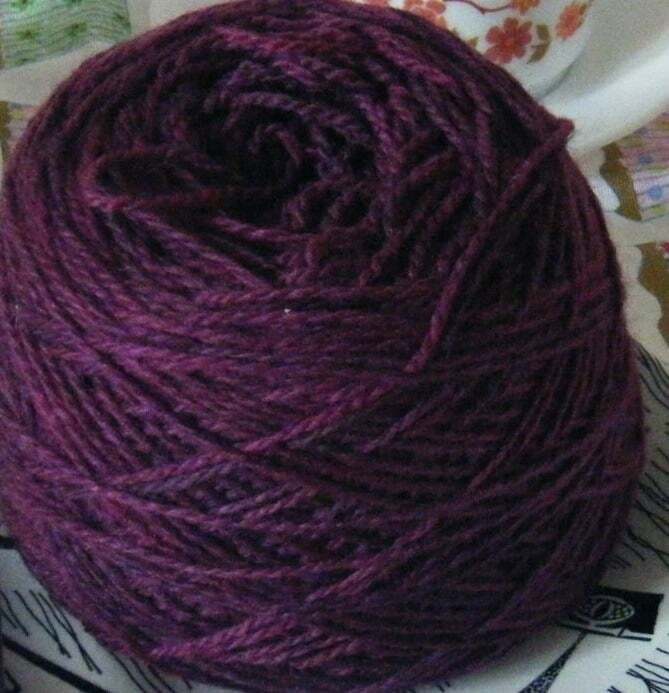 I love the color of yarn by Orkney Angora. And the pattern I most like is the afghan called Vivid. It is simply beautiful! Just found you blog and completely enjoying looking through. Besides loving all the patterns in Handmade in UK, I cannot decide my favorite pattern because I really loved two of them: Vivid blanket and Loch hat. I haven’t tried any british yarn yet, I’ve only purchased some 4-ply north ronaldsday from a spinner. I think this book would be an awesome opportunity to try some of it. I sell N.Ron.hand dyed yarn. Its really popular for its texture. I like the Lush Cardigan the best and my favorite British dyer is Countess Ablaze. Ooh! That’s a new one on me! I must check them out! Lush is probably my favorite pattern. Can’t say I have a favorite British yarn or dyer being from smack dab in the middle of the USA, but THANK YOU SO MUCH for that link to Old Maiden Aunt Yarn … absolutely gorgeous!!! 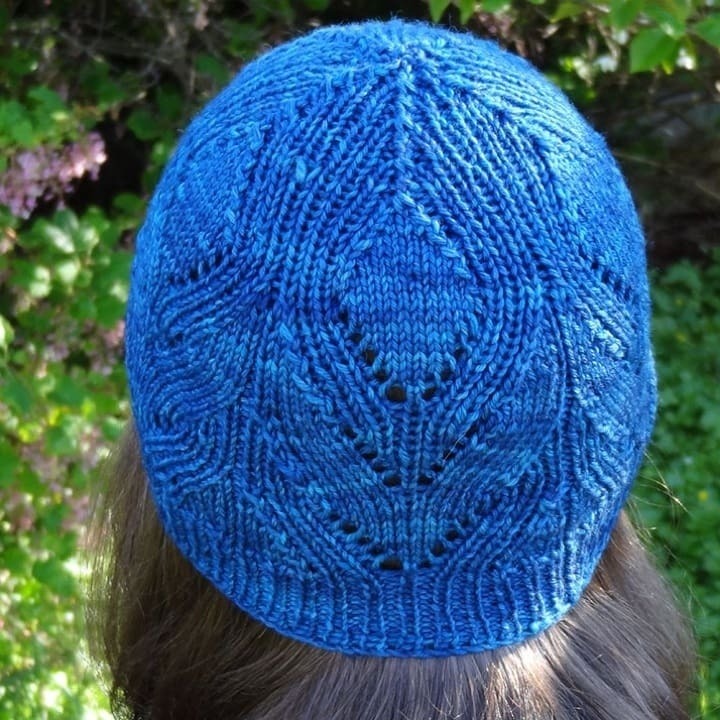 All the designs are lovely, but my favorite pattern is Estuary. My favorite UK dyer is Old Maiden Aunt. 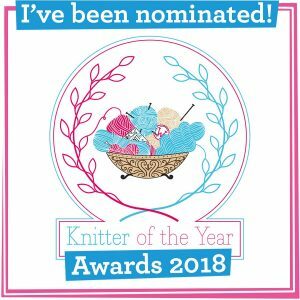 I’m a big sock knitter so will have to vote for Winding Way. And I Love Jan & Cecilia Rainbow Sock, which is a British indie yarn that I got a Woolclip in Caldbeck. My favorite pattern is Windswept and my favorite UK dyer is Countess Ablaze. 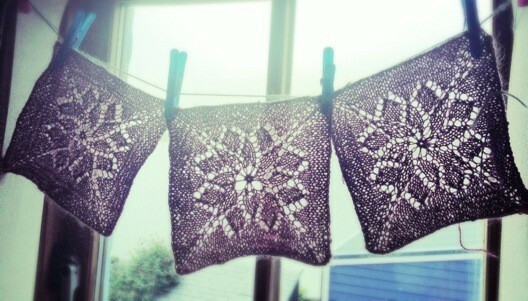 I like the Botany shawl pattern. Don’t enter me into the contest as I already have a copy of the book! But just wanted to add how lovely it is – I have cast on the Bonny lace top and am almost at the lace bit. The patterns are very well written and clear. I can’t wait to get going on the blanket as well – I think it will be a great stashbuster. I agree. The patterns are so well laid out and easy to follow. 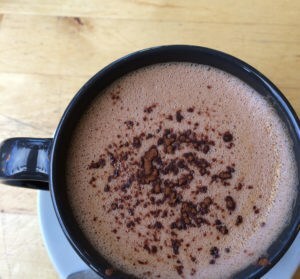 Thank you for popping in to share the TCK love! My favourite pattern at this minute is Windswept, and it may change in a few minutes, I love all of the patterns and they seem to take turns being top love. I’ve enjoyed knitting with most British yarns, but I’m partial to Hedgehog Fibres these days. Thanks for the giveaway and I really hope I win. I love Estuary when I finally finish my current project I can cast it on hopefully I will have the yarn then. Thanks for the giveaway! Can reccomend estuary very highly! Hopefully be finished in time to photograph for the next blog! OH I am so excited! Wonderful giveaway. I would love to knit a Vivid blanket. As for UK yarn, honestly I dont have that much experience, but I have knit with Rowan and it was lovely. I really love the lace design in Vivid! Your squares look so soft and pretty 🙂 Unfortunately, I haven’t tried any British yarns yet so I can’t really say what’s my favorite… Thank you and Emily for the giveaway! Mm so many to choose from. My favourites are Lush and the estuary shawl. Gosh, what a gorgeous book. I just HAVE to knit the Winding Way socks. As I’m not sure which yarns are British I’ve just been looking through some and love the Old Maiden Aunt yarns. In fact I love some of the colours so much I’m going to have to find if there is an Australian supplier somewhere. I was born in Scotland and emigrated to Australia when I was a child so to knit these socks (Scottish designer) using Scottish yarn would just be something else. It is so hard to pick a favorite pattern from the book! I love Lush, Vivid, Winding Way and Rosewater the most. However, I could see knitting any and all of this book. Each pattern is lovely. I love the yarn that you are using for your Estuary. That color is stunning and it will be beautiful when finished. Windswept is my favorite pattern and anythhing produced by the Wensleydale Sheep Shop would be among my favorites for yarn. Windswept would look beautiful in a lustrous wool like wensleydale! Was at Emily’s book launch on Thursday at Kathy’s Knits in Edinburgh… read the book cover-to-cover that evening, and Estuary is still my favourite. I managed to resist starting it in YarnPony, Show Pony, shade Midnight for a whole TWO DAYS… I think I might be addicted! My favorite design in Handmade in the UK is Lush. I don’t really have a favorite British yarn, since I’m in the US and don’t often get to play with British yarns. 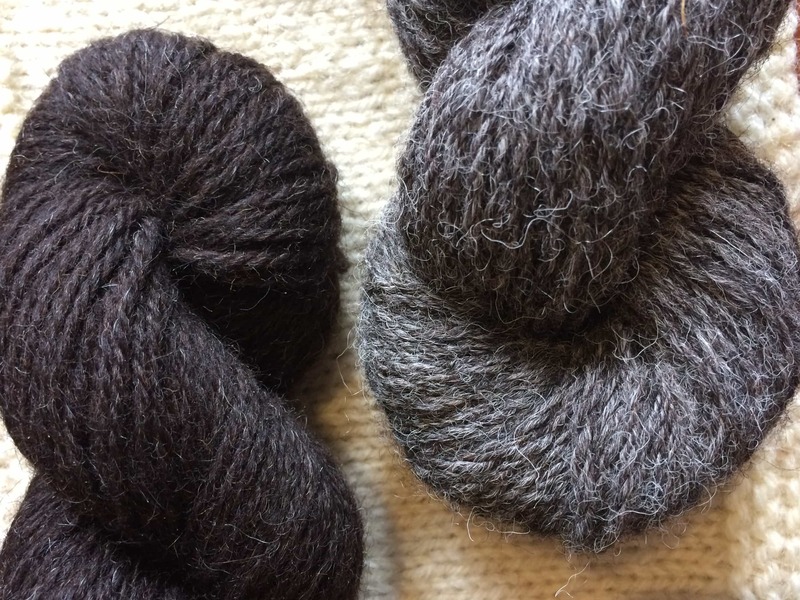 One I’ve been longing to try out is Fyberspates Scrumptious and one I love is Jamieson’s Shetland wool. I am lucky that Jamieson’s on my local high street in Shetland. Great yarn! 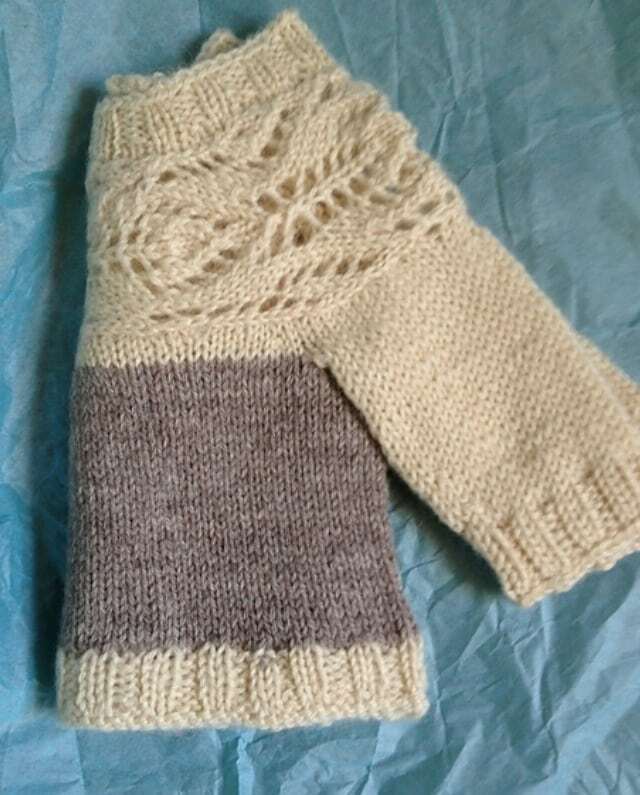 Both Estuary and Loch (the mittens) are my favourites so far. them. I happened to be in Scotland two weeks ago and fell very hard for Orkney Angora. So beautiful. So soft! Thanks for this chance to win the e-book. It’s difficult to settle on just one pattern. The Estuary shawl is my favorite. I’m a big fan of Colourmart yarns. Vivid would make great keepsake afghan for my cousin working in parts of her wedding dress. Lush would be an ideal gift for a friend’s baby due soon, love it! Argh, can’t decide on a favourite UK dyer, I think my lovely friend Yarn Pony has an amazing eye for colour. My favorite pattern so far is Thistle. 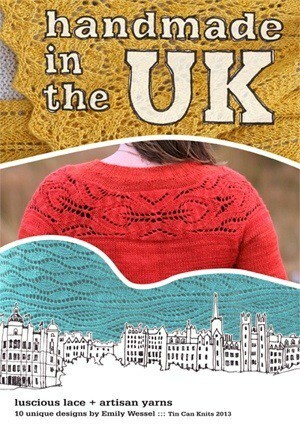 I haven’t had the chance to knit with much British yarn over here, but I’ll be checking out the links! I love all of the patterns but I think Windswept is my favorite. 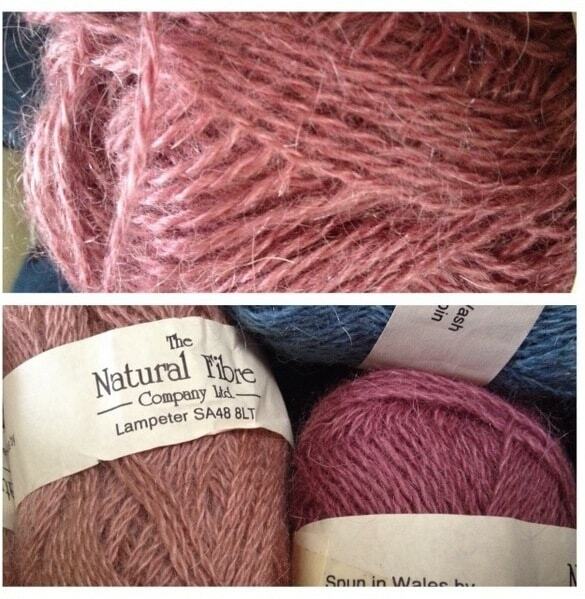 And for yarn I must say Jamieson & Smith. 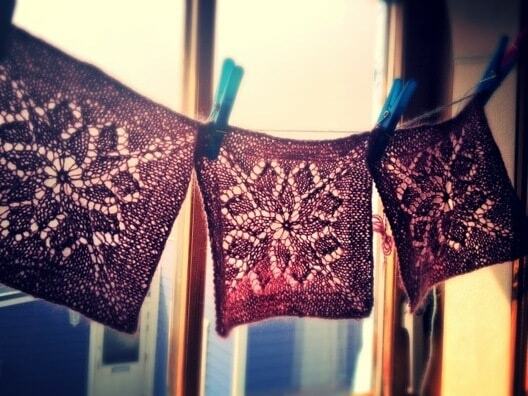 My favourite pattern is Rosewater, though they are all lovely. I would have to say Fyberspates their yarn selection and colour combinations are glorious. I think my favourite pattern is Rosewater, though it is hard to choose. Yarn is hard as well, but I think at the moment it is YarnPony – so delightfully squishy and the colours are gorgeous.